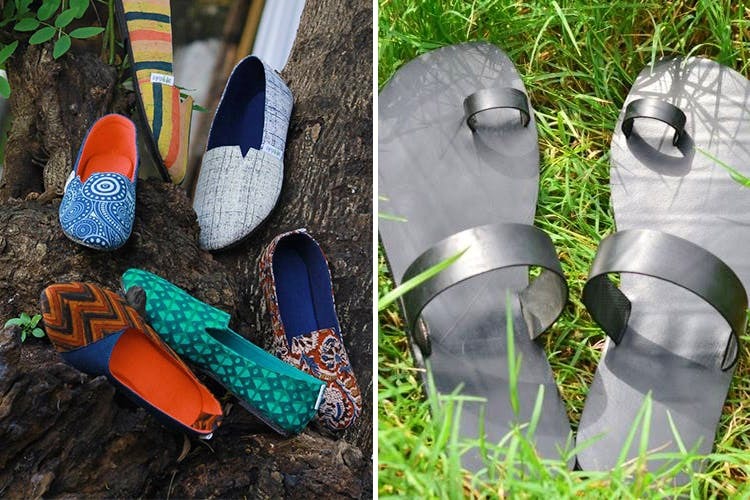 Making treasure out of things we consider trash is a hard task but Paaduks, a shoe company, has really succeeded at the task at hand. They have an amazing range of colourful shoes and sandals for you! But more importantly, they concentrate on recycling of used tires and provide their artists with sustainable livelihood. The aim for the folks at Paaduks was to create affordable fashion that is eco-friendly. For this, they chose used tyres for manufacturing the soles of their footwear. And who knew the results could be this pretty? The sandals can be worn with any ethnic or fusion outfit and the shoes are not just comfy but will also protect you from the cold while simultaneously adding to your outfit. They’ve got designs for both men and women. And, they start at just INR 399! This footwear isn’t just fashionably comfy but also is great for the environment. So don’t wait and just get yourself a pair from Paaduks!